Want to know how to accept all Facebook friend requests at once? If we can invite friends to like a Facebook page then how about accept all friend requests at once? 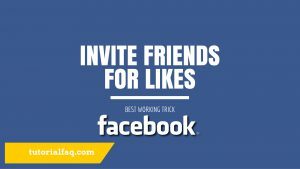 If you want to automatically add friends on Facebook then this is the right article for you. I will share with you the exact working trick i always use to get the burden off my head. Recently i published an article talking about how to invite friends to like a Facebook page. In this article we slightly alternate. Now before we go any further, imagine you stayed away from Facebook for a few weeks and landed on over 900 friend requests the next time you login? If you were to confirm friend by friend then it would take you hours to finish up with the list but if you used a script you would get the task done in less than 10 minutes. Interesting right? Now lets get started here. We have to create a new bookmark on our browser and make sure the bookmarks tab is visible on your browser. Create a new bookmark on your browser and name it whichever name you want then paste the code below as the address URL of the bookmark. If the bookmark has been added and you can see it’s tab somewhere on the browser then we can proceed to the next step otherwise make sure you create it because it’s the most vital part of this tutorial. After logging in to your Facebook account, copy and paste the following URL in the browser’s address bar (url bar): https://www.facebook.com/reqs.php. The page the URL leads you to will load all the pending friend requests you have at the moment. All you have to do is scroll down and until your whole list is loaded. Once the whole list is loaded, all you have to do is click on the bookmark and the script will start confirming all your friends one by one. The script will automatically help you auto accept Facebook friend requests on Facebook. Ever got so many friend requests and felt nagged accepting them one by one? This article shows you exactly how to accept all friend requests on Facebook at once. The script works fine but might make your page to become static. In case your page becomes static, try and be patient for a few minutes and it will get back to normal.